Momentum, support, and enthusiasm for the presidential campaign of Vermont Senator Bernie Sanders continue to grow daily. What many laughed at just a few months ago now has roots deep enough to sustain a formidable bid for the Democratic Party nomination for president in 2016. Now may be just the right time to reflect on the man who originally had the foresight and vision to know that this moment was possible. What now seems as inevitable was but a pipe dream to a handful of people in early 2014. But one of those people happened to be Tim Carpenter, the now deceased founder of Progressive Democrats of America (PDA). It is not a stretch of the imagination to say that without Tim Carpenter there simply would not be Bernie 2016. In hindsight, it’s as though Tim Carpenter knew that one of his last efforts just might be the biggest and best yet of all the incredible things he had done in an all too brief life. For anyone who had the pleasure of meeting, knowing, or working with Tim Carpenter, they knew instantly when they met him that he was a one-in-a-million; a saint walking the earth. Educated by the Jesuits in the post-Vatican II era, Tim took seriously the social justice gospel and from it, began to chart the course of his life. 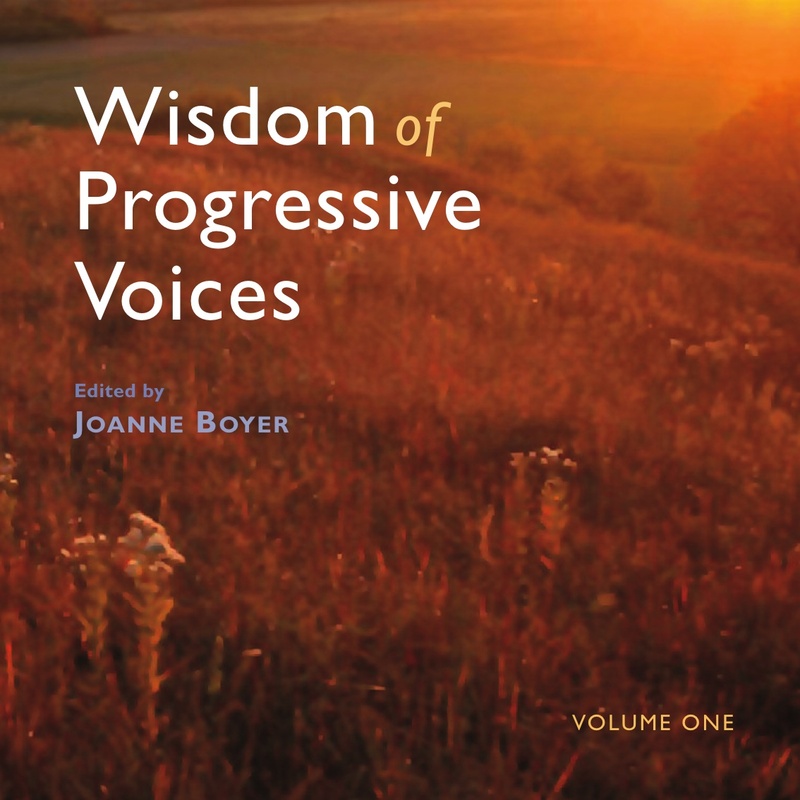 I had the pleasure of meeting Tim Carpenter at a Labor Campaign for Single Payer conference in 2013 at which time I presented him a copy of my book: Wisdom Of Progressive Voices. 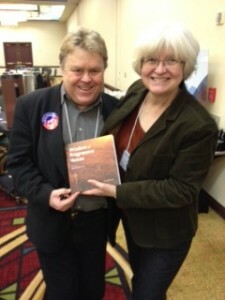 I had the pleasure of meeting Tim at a Labor Campaign for Single Payer conference in Chicago in January 2013. That led to this feature I wrote on Tim and PDA, in which Tim took time from his 25-hour-a-day schedule to articulate the work of PDA and its vision of organizing a community of activists willing to do the work to build a passionate and progressive government. For a more in-depth look at this incredible man and his work with PDA we invite you to click here. Intelligence, good-humor, motivated, unceasing. Words that came to life within 5 minutes of having met Tim. Believing the impossible was possible is what motivated Tim Carpenter and his work with PDA. The little engine that could, that was Tim. Healthcare not warfare; clean and transparent elections; stopping voter suppression; ending corporate rule. Pick any of the impossible issues facing us today and Tim was there fighting the good fight. But it was on the eve of PDA’s 10-year anniversary celebration set for May 2014 that Tim, who had struggled with health issues his entire life, reached for the stars with one of his boldest ideas yet. 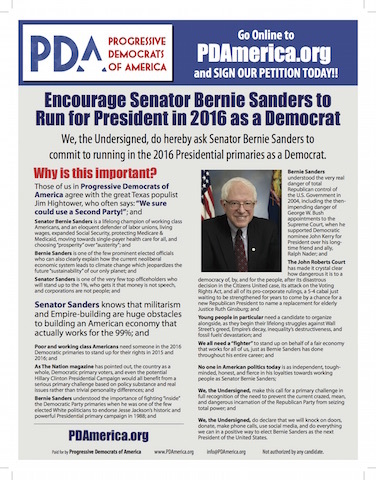 In spring 2014 with Carpenter’s health rapidly failing, he began a PDA-led drive with CredoMobile to garner 25,000 signatures urging Sen. Sanders to run for President in 2016 as a Democrat. The signatures would be presented to Sanders, the scheduled keynote speaker at the PDA 10-year anniversary celebration. Click here to see the original petition. “The Valley Advocate,” the Northampton, MA hometown paper of Tim Carpenter provided a great synopsis of the Sanders drive in a March 2014 edition. And so it officially began — Run Bernie Run (As A Democrat) — with PDA out in front with online petitions, and signature gatherings and grass roots organizing. What else would one expect from PDA and Tim Carpenter? Not many hours before I learned that he had passed, Tim was on the phone with me, running through the latest numbers from a national petition drive he and PDA had organized to urge Vermont Senator Bernie Sanders to seek the presidency. They were over 10,500. A few hours after the call, he e-mailed me, with more numbers. They were over 11,000. That was typical Tim. His enthusiasm for politics was immeasurable, and infectious. So as the Bernie bandwagon continues to rightfully and joyfully grow beyond most people’s wildest dreams, it’s also a time to remember that no movement “just happens.” Now, with thousands of volunteers, paid staff members, and other organizations coalescing to support Bernie 2016, let’s remember that somewhere there were seeds planted, ideas shared, and those who had the courage to fight for an idea that seemed impossible at the time. For the full Bernie Sanders speech at the PDA 10-year anniversary conference in 2014 see below. This entry was posted in Democracy, Democratic Progressive Caucus, The Progressive Connection, Thoughts on Life and tagged Bernie Sanders, Bernie Sanders 2016, PDA, Tim Carpenter. Bookmark the permalink. What a beautiful tribute to a wonderful man. I so miss him. I know in my heart that my friend Tim is somewhere making things happen, cheering us all on…I was there in that church in Northampton, and think of that weekend every time I see Bernie’s crowds of thousands…and it was always BIG hugs! !